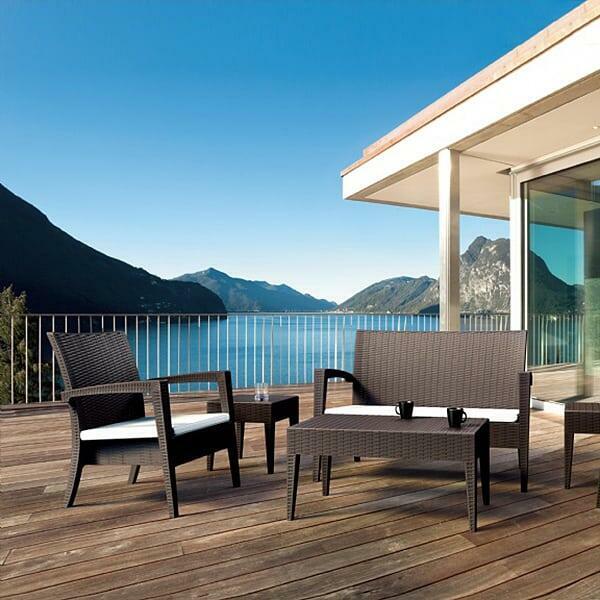 The Miami Deep Seating collection by Compamia features the trademark Compamia Wickerlook construction. The Wickerlook material is actually polypropylene resin that is used on other furniture, but it’s fashioned in a way that makes it look and feel like traditional wicker seating. 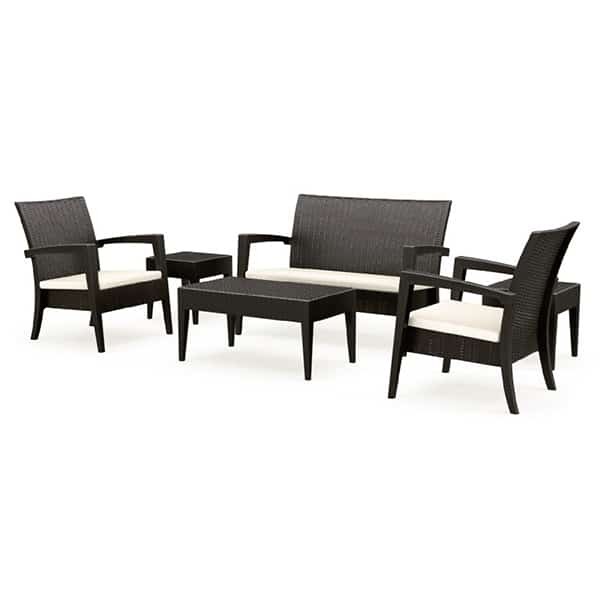 But, this wicker look-alike has a few special curveballs that make it perform head and shoulders above other wicker furniture. Wickerlook is not actually woven, like a lot of wicker and synthetic wicker furniture, so it cannot unravel with wear and tear. It is made of a resin material that is equipped to handle UV exposure, extreme temperatures, both hot and cold, sleet, rain, snow and salt. It’s also prepared to handle human folly, with resistance to oils like sunscreen and tanning oils, chlorine and other spills that stain other materials. And, the set can go virtually uncared for without damage. If it gets a sand coating with high winds, you may clean it by hosing it down with water. Enjoy the longevity!